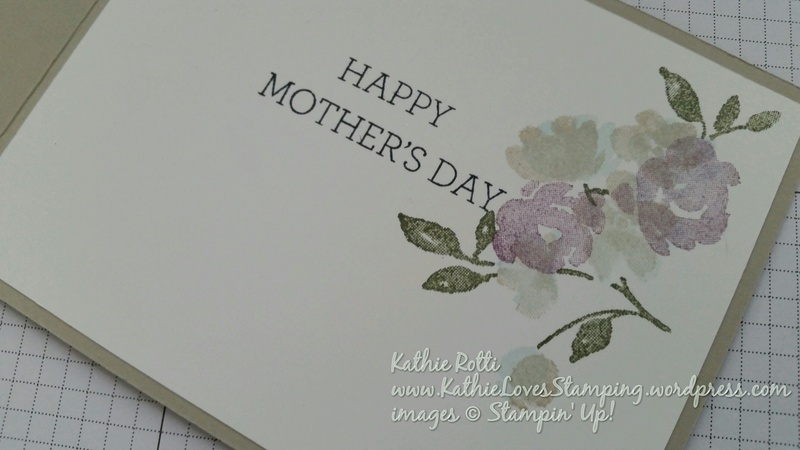 Welcome to my contribution to the Mother’s Day Team Stamp It Blog Hop. Whether you started the hop here or if you came from Linda Cullen’s amazing blog, WELCOME … and speaking of “amazing” … here is MY card. I just love our Painted Petals two-step stamp set. It comes in all 3 styles of stamps, Photopolymer (my favorite), Wood Mount and Clear Mount. You can find it in The Occasions Catalog … but unless it carries over into the next annual catalog, this set will be retiring June 2, 2015. Get it while you can! 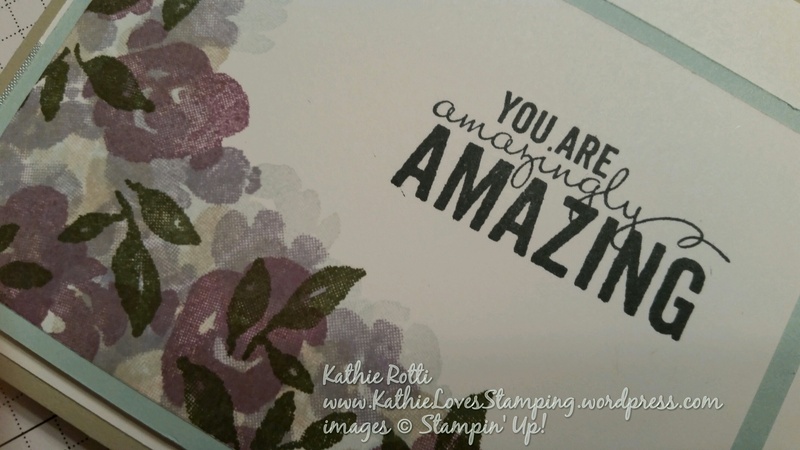 I used 4 of the 13 images in this set to make this card: 2 of the flower pieces, the multi leaved piece and the “YOU ARE amazingly AMAZING” sentiment. Sahara Sand, Soft Sky, Wisteria Wonder and Perfect Plum are the colors I chose for the floral layer. You will need your Stampin’ Scrub handy to clean your stamps between colors. I stamped a floral image (5 blossoms/bud) in Sahara Sand several times, then the other flower image (double blossom) in Soft Sky, followed by the first stamp in Wisteria Wonder and lastly Perfect Plum with the double blossom …. placing them in collage fashion as I saw fit. I only inked the ends of the leaf stamp in Always Artichoke , being careful not to catch any inky edges. 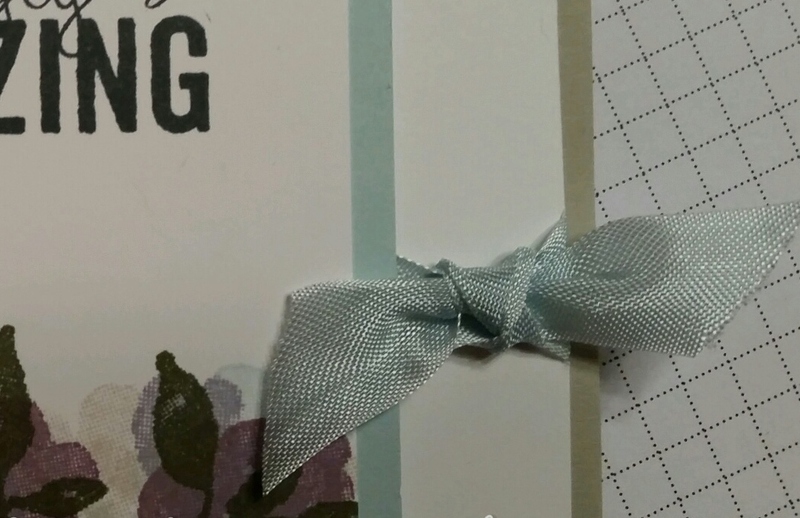 The Sahara Sand Card base, layered with Whisper White and Soft Sky, makes for a nice soft effect … add a wrap of Soft Sky seam binding and a half knot and the front is done. 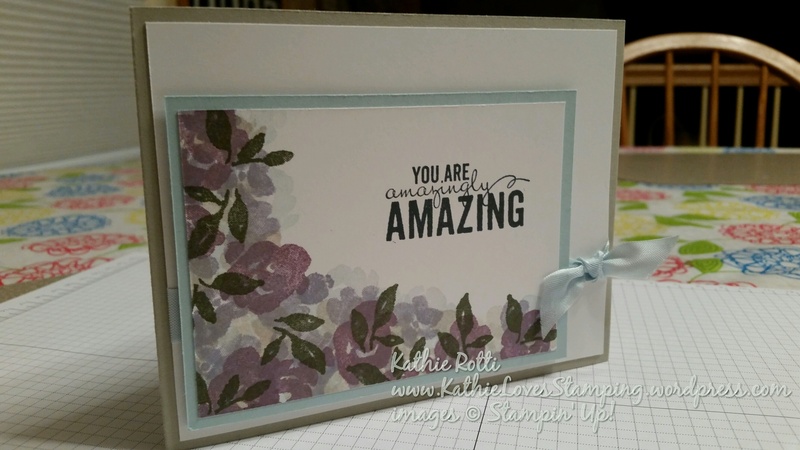 The Soft Sky piece is popped up on Stampin’ dimensionals. Open the card to see a similar treatment with the inked images. This time I inked the entire leaf image in Always Artichoke and stamped off before stamping on the card. I took advantage of the “two-step” aspect of this set when layering the flowers by carefully positioning the blossom image. While this card can be used for almost any occasion, I chose “Happy Mother’s Day” from Crazy About You. Both the outside and inside sentiments are stamped in Memento Black. I got the inspiration for this card from Billie Moan. She used bright summery colors. Stunning. I hope you enjoyed my “amazingly amazing” card and “you are amazingly amazing” for stopping by. Now onto Elizabeth Thatcher’s blog. Enjoy! < Previous Celebrate! … it’s your Birthday! I love this gorgeous card! I’m so happy I come to your class! 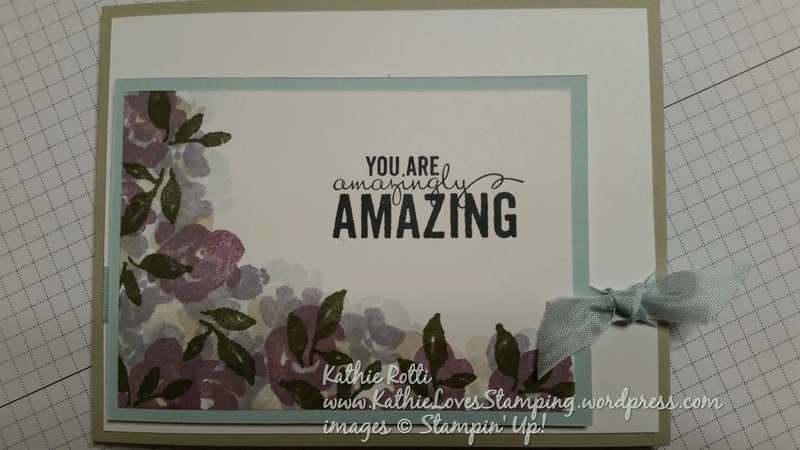 Absolutely stunning card, Kathie!! TFS!